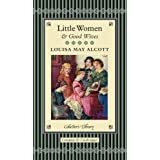 Louisa May Alcott was born in Germantown, Pennsylvania in 1832, and is best known for her 1868 novel, Little Women. I can still recall the thrill of reading this as a young girl, totally immersing myself in the lives of Jo, Meg, and Amy. C.S. 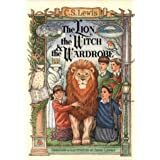 (Clive Staples) Lewis was born in Belfast, Northern Ireland in 1898, and is best known for his beloved fantasy series, The Chronicles of Narnia, which began with the 1950 publication of The Lion, The Witch and the Wardrobe. 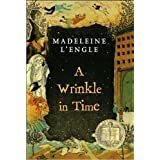 Madeleine L'Engle was born in New York City in 1918, and is best known for her science fiction novel, A Wrinkle in Time, which was published in 1963 and won a Newbery Medal from the American Library Association's Association for Library Service to Children. The imaginative themes of these works transport readers into wondrous new worlds. I invite you to discover...rediscover...or share...a classic this holiday season. 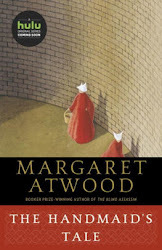 Thursday's Notable Authors was originally published by Catherine for bookclublibrarian.blogspot.com. This post cannot be republished without express written consent.